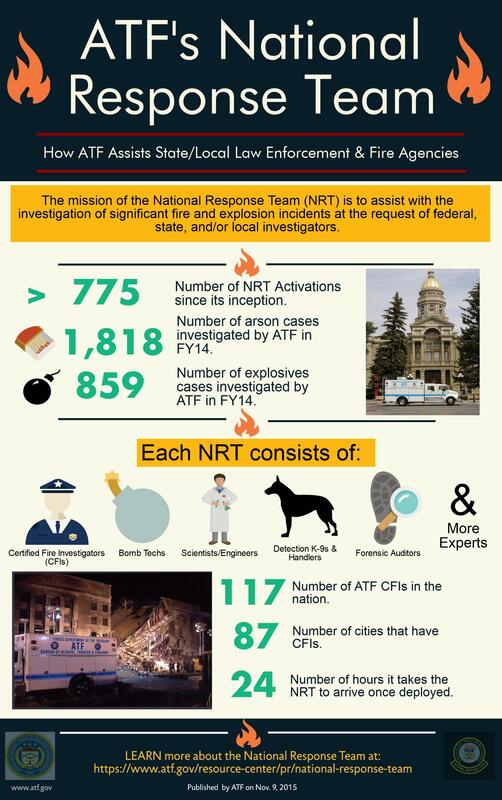 The mission of the National Response Team (NRT) is to assist with the invesigation of significant fire and explosion incidents at the request of federal, state and/or local investigators. 859 - Number of explosives cases investigated by ATF in Fiscal Year (FY) 2014. 117 - Number of ATF CFI's in the nation. 87 - Number of cities that have CFIs. 24 - Numbrr of hours it takes the NRT to arrive once deployed.